Valentine’s Day is almost here, and you know what that means — romantic dates with your S.O., nights on the town with your single besties, telling the important people in your life how much you love and care about them — and, of course, gift-exchanging. 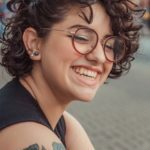 But, with all of the effort going into making sure that your V-Day plans turn out just right, it’s understandable that you might be feeling a bit stressed and in need of a little break. And, what better way to take a break than by buying yourself a cute gift that won’t break the bank? 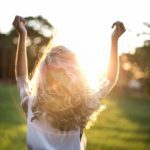 Below, see 10 of my top picks for gifts that you should definitely get for yourself this Valentine’s Day. The best part? They’re all under $30 (and most of them are under $20)! 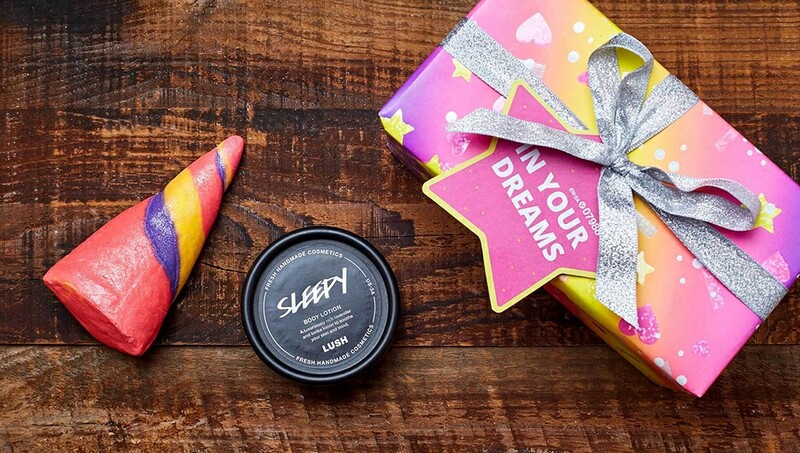 This wrapped gift from Lush includes their popular Unicorn Horn Bubble Bar, as well as a mini size of their beloved Sleepy Body Lotion. Both products contain lavender, which is known for its calming properties. Furthermore, Sleepy is apparently great for helping you fall asleep, while Unicorn Horn, like many of Lush’s bubble bars, can be broken up into pieces and used for multiple baths, so you’re basically getting two or three products in one! Maybe you don’t have a date for Valentine’s Day this year. But really, who cares when you have a great best friend in your life? 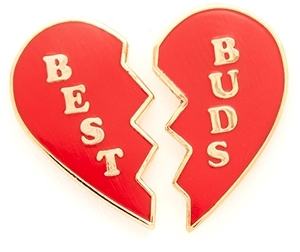 While these pins are technically only partially a gift for yourself (assuming that you give your BFF one to wear…or just wear both yourself, I don’t judge! ), they serve as a great reminder of one of the most important people in your life. Not to mention that, like your friendship with your bestie, these pins will definitely last longer than flowers or chocolates. Beat that, Tinder date! 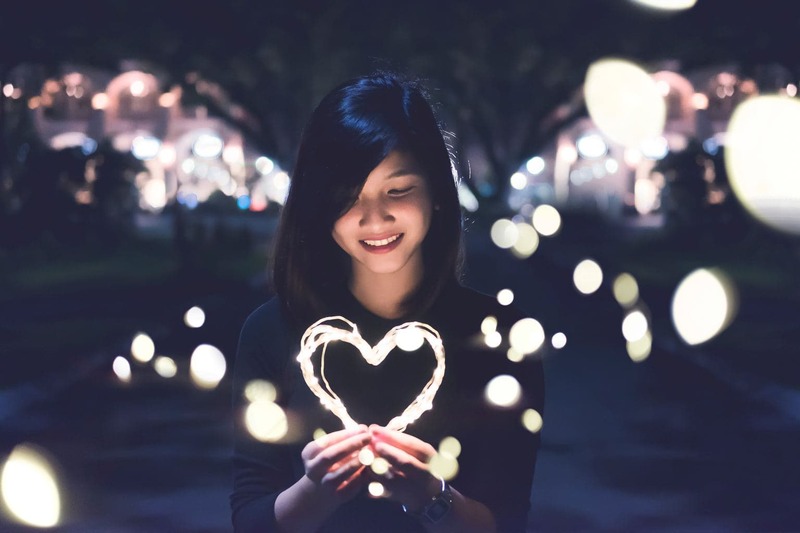 Whether you absolutely adore Valentine’s Day or it just isn’t your thing, one thing everyone can agree on is that the world can never have too much love. 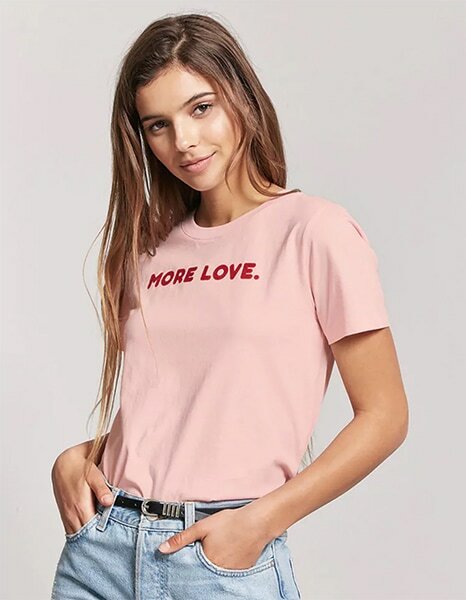 I love the way that this cute graphic t-shirt is styled in the photo, but it would also look great paired with a feminine skater skirt, opaque black tights, and a cardigan for a dressier date-night look. So, what’s a girl to do (aside from sneaking an entire bag of Valentine’s-chocolates into class)? 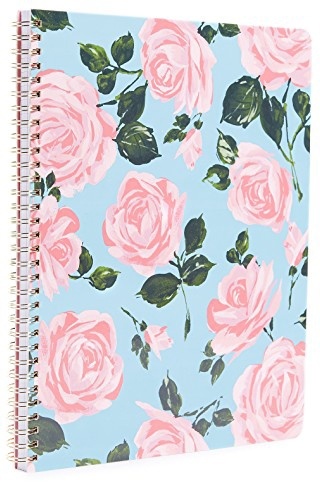 Treat herself in the form of a romantic rose-printed notebook, of course! 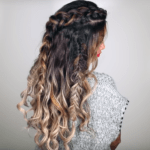 This one is so pretty that it’ll (almost) make you forget that you’re in class on V-Day. If your plans this Valentine’s Day involve staying in with a hot drink and a rom-com, then you definitely need this cozy heart-shaped pillow. With its neutral ivory shade, it makes a stylish addition to any dorm. 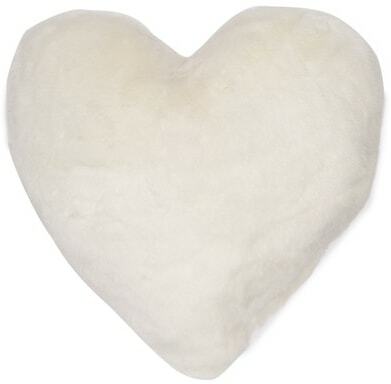 The pillow’s faux-fur texture is sure to keep you nice and warm, while its heart shape serves as a little reminder of the importance of love year-round. Fragrance is definitely one of the most romantic and luxurious Valentine’s gifts that you can give to someone, but that doesn’t mean that you can’t indulge yourself with a little luxury every now and again! 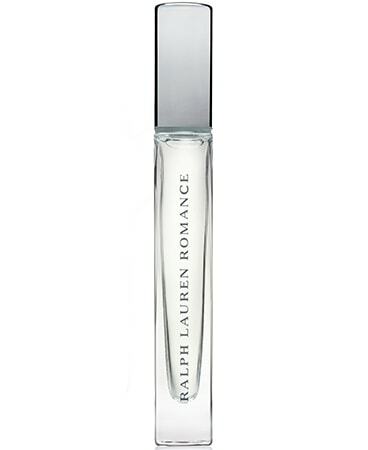 Ralph Lauren Romance is a classic (but not stuffy) fragrance that is perfect to wear on Valentine’s Day. With its timeless notes that include Rose, Lily, and White Musk, this gorgeous-yet-subtle fragrance is a lovely way to add a bit of, well, romance to your life, regardless of your relationship status. 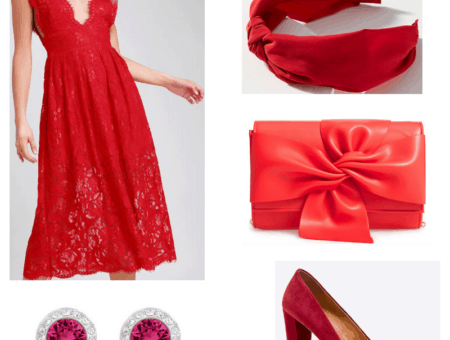 Maybe you like Valentine’s Day, but aren’t into wearing red and/or pink from head to toe — and that’s okay! 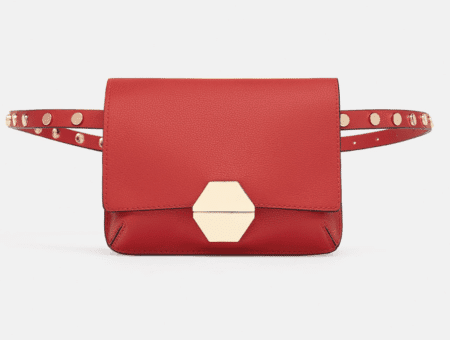 But, just because your style might be a little more tomboy-ish or edgy, that doesn’t mean that you can’t wear your heart on your sleeve (or, in this case, on your ankles). 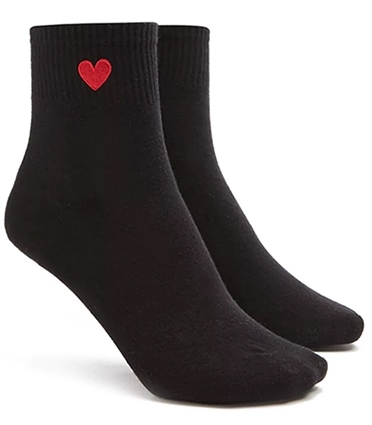 These sweet socks not only go with almost anything, but are also a subtle way to show your V-Day spirit. I suggest wearing them with low-top dark-colored sneakers and cropped-flare jeans to show off the adorable embroidered hearts. A little glow is always a good thing, especially in the middle of Winter, and this flattering highlighter and lip gloss set by Fenty Beauty is a great way to try out some of the beauty world’s most coveted products at a more reasonable price point. The highlighter is a chic way to add some extra shine to your V-Day look, while the lip gloss is a pretty, low-maintenance alternative to the timeless Valentine’s red lip. Jewelry is another example of a classic Valentine’s Day gift, but there’s no rule stating that you have to wait for someone else to give it to you! 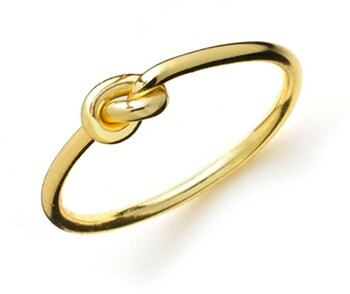 This dainty ring is a sweet twist (get it?) on the classic love knot ring. Ideal for layering, wearing on its own, or even on a chain around your neck, this piece serves as a subtle reminder of your loved ones on a day that is about celebrating love in all of its forms. This trinket dish is just too cute to pass up! With its pretty stripes and lovely message, it’s sure to put a smile on your face every time you look at it. Use it for your jewelry, keys, even little candies — it’s up to you! Its soft color palette goes well with any color scheme, while its small size ensures that it won’t take up too much precious space on your dresser. 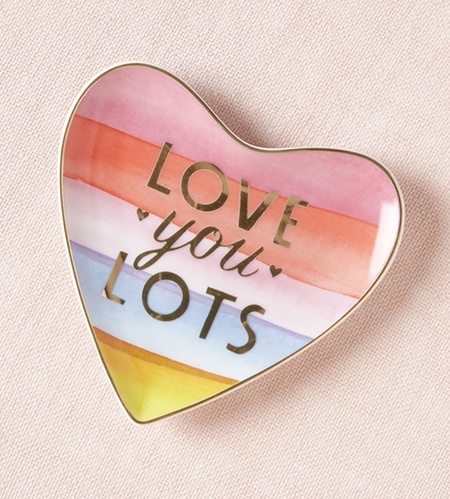 All in all, this trinket dish is the ideal way to treat yourself this Valentine’s Day! How are you spending Valentine’s Day? Do you plan to buy yourself a little present to celebrate? Which of the items above would you want most?